it's like the world is waking up from a winter nap and smiling at you. that is covered in pale pink blooms each spring. this post goes up - they will be done blooming for the year for several weeks. and the mantel in the little cottage was the perfect spot for them. to just decorate around them. 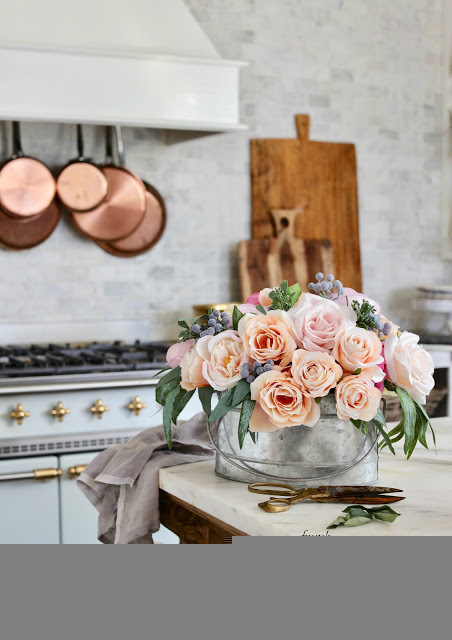 I added the blooms in a few vintage bottles and pieces of ironstone. Simple & easy. 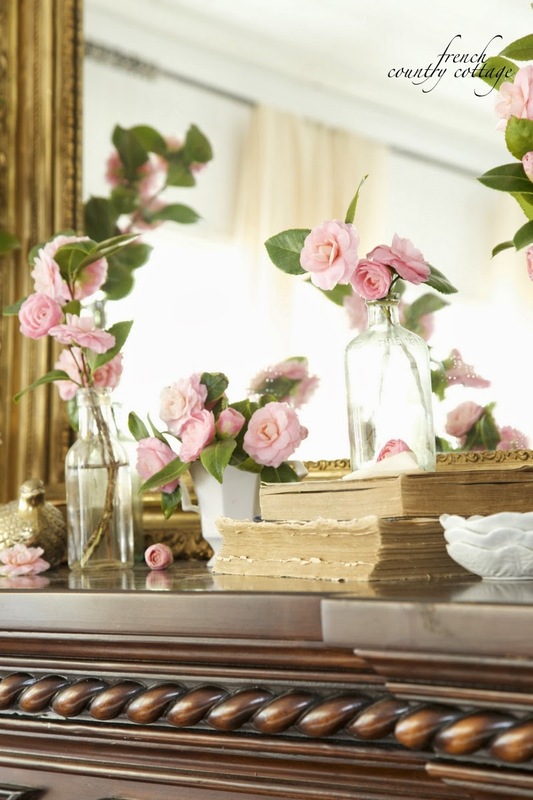 It's so easy and inexpensive to decorate with nature and I love the play of the old weathered pages with the pale pink. Pink and gold together- a favorite combination of mine. So gorgeous, as always!! Beautiful flowers! Wonderful display! It looks simple but very elegant! Love your designs! Isn't it interesting that we have been provided roses all year long in some fashion or another: camellias, peonies, and roses! 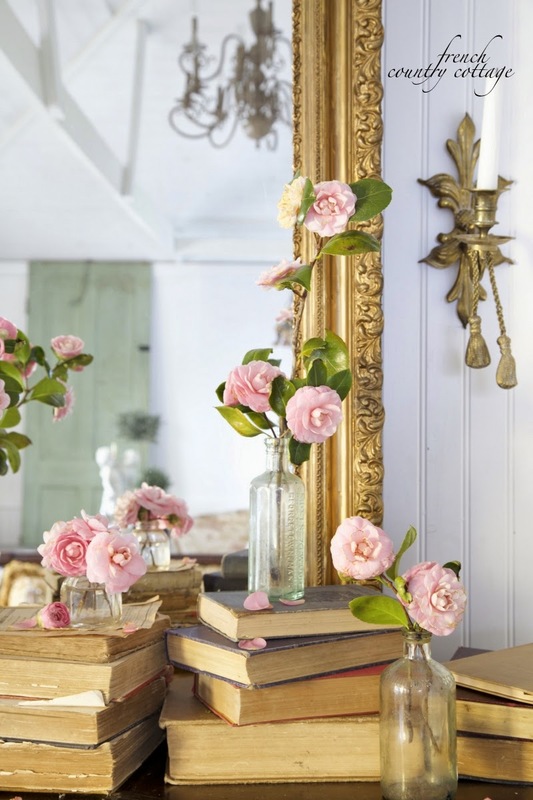 Camellias are just so lovely! Happy decorating!!! Lovely mantel, Courtney! Pink and gold are so pretty together! I love the look of this "random" arrangement on your mantel, Courtney! Gorgeous! Courtney your mantel is beautiful! Thanks so much for hosting! Courtney your mantel looks stunning!! Your blooms are from a "Pink Perfection". They were my late aunt's favorite camellia. We always had a bush in our yard. Camellias are one of the things I truly miss about the south. Your mantle is so lovely, it makes me homesick. 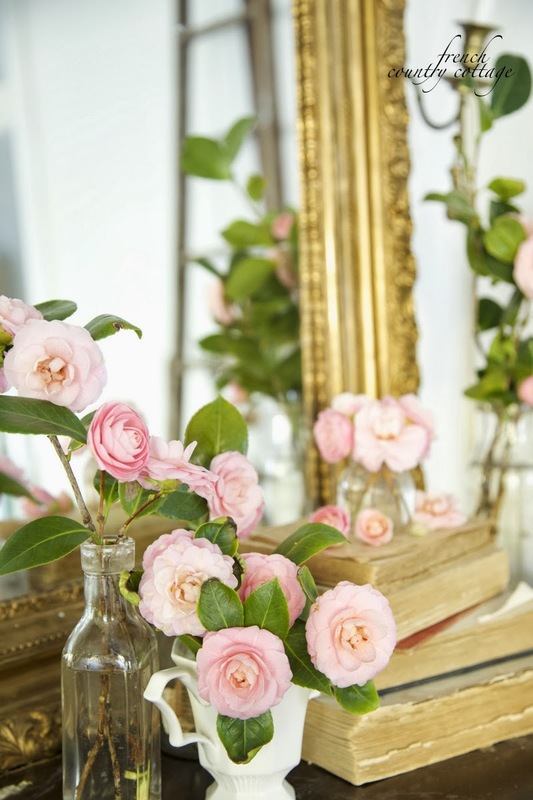 I love how you added various vases with the camelias throughout....it looks so romantic and delicate! I know they don't last long enough- it seems a shame after you wait so long to have them bloom again. Hi Courtney. Im dying to know where gorgeous sconces beside the mirror are from? Thanks so much! I wish I could join the party, but until we return to our house up north there really isn't a whole lot of decorating I can do -- baking and cooking, yes -- decorating no. All of the decorations are lovely -- especially your Courtney. 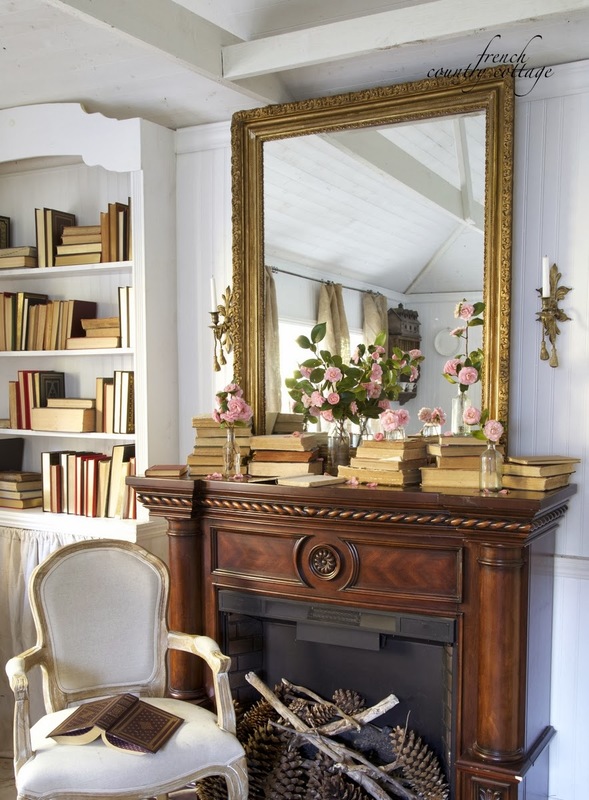 Absolutely beautiful - I love the romantic look of the Camelias, the books and the mirror. 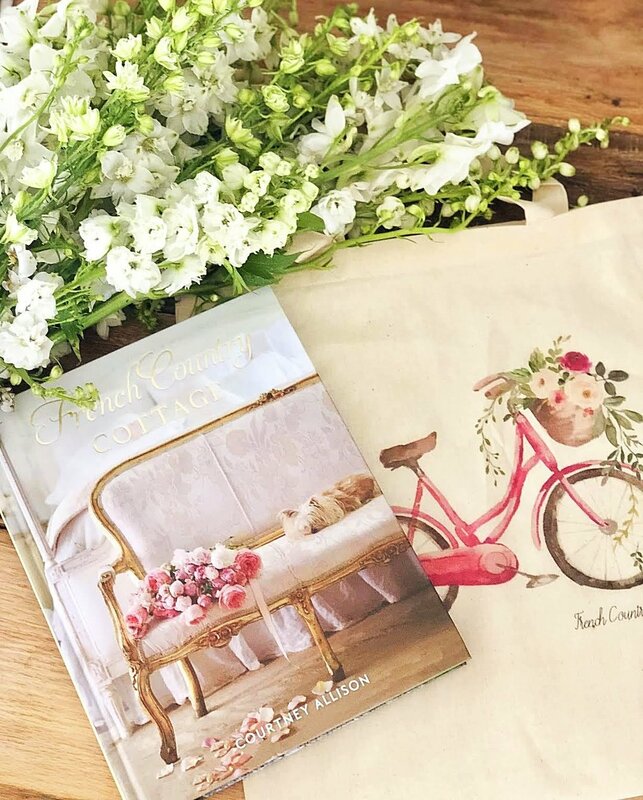 I love the gold frames with the old books and the pink roses--so beautiful, Courtney! Your mantel is absolutely exquisite Courtney! Sometimes I feel like the only one left who doesn't have a white mantel (well one is but not the other) and then I see yours and feel so much better! LOL! 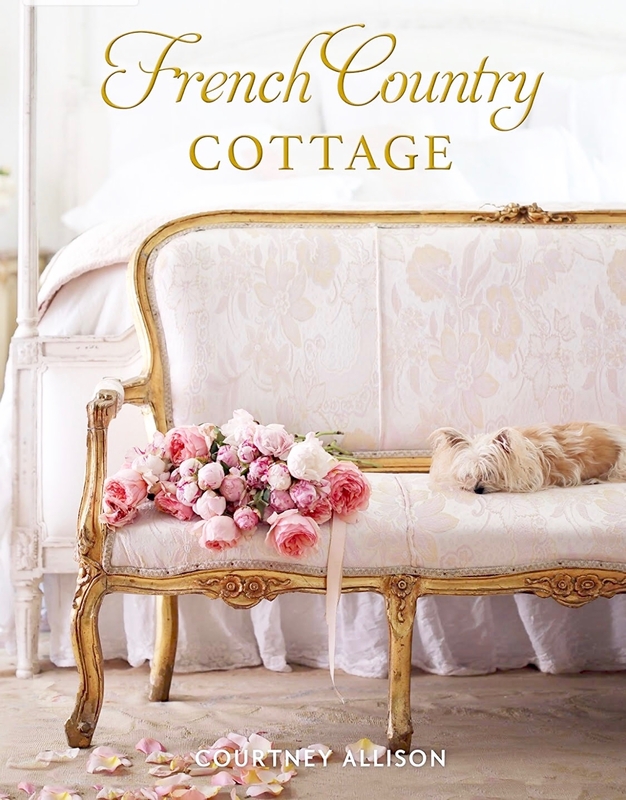 Courtney, your mantel is simply fabulous... and very French! Tres chic!! 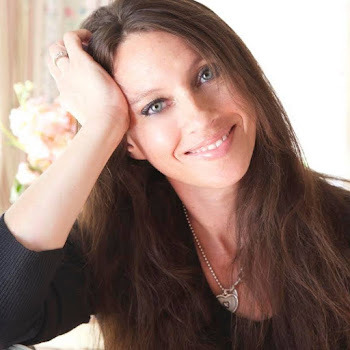 Thanks so much for co-hosting this blog hop! Your mantel is gorgeous as always! 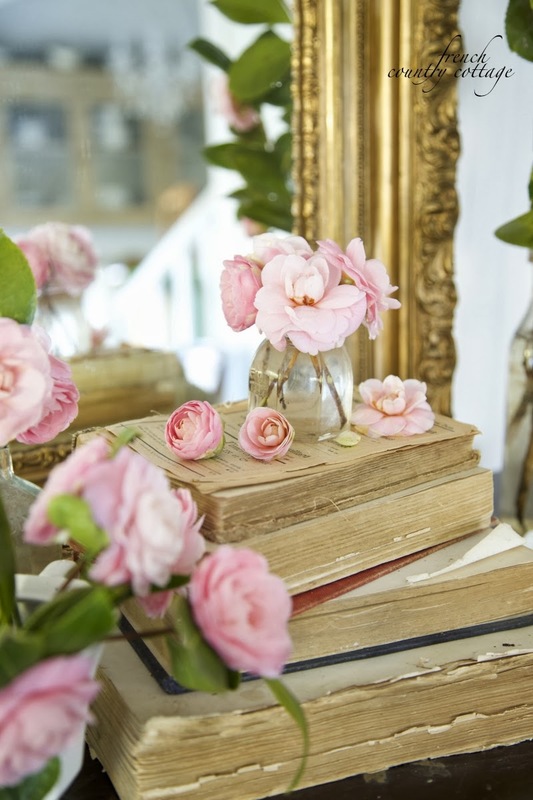 I love the use of old books with flowers. Simple yet elegantly vintage. Thanks for joining us on our tour!